We know that getting hired is easier when you are already employed. And as a job seeker, you want to appear current in the job market, but some of you feel that joblessness simply strips away your professional image. Unemployment – whether through a layoff or a choice to take time off – can feel like a deep chasm for so many professionals. Once highly desireable as an employee or supervisor, now you start to question your job worth and wonder who will hire you. 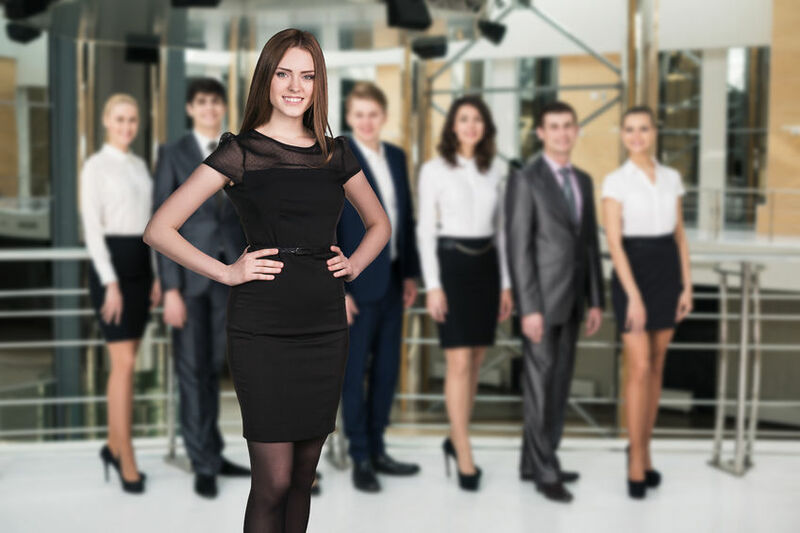 Fortunately there are a few steps that you can take to create a highly employable image both for that future employer and for your own frame of mind. How do you create an aura of professional relevance? Your attitude shows. Ensure it is the one you want to demonstrate. Your communication is 70% non-verbal, and if you are allowing your frustrations to project outwards, others will see it. Shift your conscious projection to the world. Move away from a sigh and slouched shoulders. Put on a smile, bring your shoulder blades together, breathe deep, and be more energetic in your steps. Eat and drink for health and to give you energy. Dress for work every day, even if you aren’t headed to work. Project a polished image. Show confidence even if you have to pretend. Change the words, “I used to manage company mergers,” to “I specialize in innovative company growth.” Be aware of your thoughts. A majority of them are just a repeat from the day before, and in joblessness, many will be negative and self defeating. Modify your thoughts as they become conscious. If you berate yourself for being out of work, start to think positively. “I have amazing qualities to offer. I have creative ideas and always keep my eye on profit margins.” Post them on the bathroom mirror to read every morning. When you consciously redirect your thoughts, you are actually changing the habitual paths in your brain. With an economy that is continuously shifting, jobless is shameless. Let people know where you stand. “My division was outsourced, and I’m available to begin something new.” Or, “after my job ended, I went back to school, and now I’m looking forward to contributing new ideas to the right company.” OR, “I enjoyed the opportunity to be home with my children, and now that they are more independent I am ready to make an impact in the workplace.” Make a point to create a visibly positive attitude. When you are unemployed, volunteer. The only difference between a paid position and a volunteer position is the money. Yes, money is important, but that volunteer position keeps your resume full and gives you an opportunity to offer your assets to a non-profit organization. It also demonstrates what you are interested in doing, paid or not. Volunteering may also lead to a job. Local and online organizations, such as those on Meetup, keep you updated with local industry leaders. Professional online networks, such as LinkedIn, allow you to create a complete job-targeted profile for future employers. In fact, it is practically a requirement now to create a dynamic and complete profile on LinkedIn. Industry and networking groups are booming from the value they source through LinkedIn. Join a Rotary group, attend networking meetings and create dynamic connections by offering ideas while you exchange business cards. In my city, I could attend 3 networking events a day and still not visit all of the opportunities to meet other business people. An important tip for these groups, go into the process with thoughts of how you can contribute, or give to others. When you think of others first, you build trust, and they will be more likely to reciprocate. Set goals for meeting people and visiting new groups. I know a couple professionals with amazing talents, and yet they hesitate to network. In job search, success is still in who you know. By leaving networking opportunities off the table, you do a huge disservice to yourself and to the employer that could really use your talents! Some people wait for others to take the lead, so be that other person. Start your own networking group. Or set up a weekly support group for unemployed professionals (but keep it focused and action-oriented). Create a mastermind-type group, which can hold each member accountable for job search and other career-building activities. Connect with an industry group online, through articles, Facebook, LinkedIn or blogs. Comment with frequency and knowledge, adding value to the writer and the readers, and creating visibility for you. Social media can help you bring your talents to the world. Create a business card which stands out from the crowd. Be creative yet professional. Order inexpensive yet quality cards online from a place like Vistaprint (pay extra for thicker stock). Job search is eight hours a day, so add balance to your life. What do you do in your off hours? Try a yoga class, see a daytime movie or meet friends for coffee. Set yourself a goal: “After five cover letters and resumes are delivered, I will meet Frank for lunch.” Stay focused, and then let go to enjoy leisure activities in your life. Sometimes things happen when you least expect it. When you follow the ideas above, your next conversation may be with a local corporate executive, who could invite you to your next job interview. Be a shining example of your own relevance, and others will want you to join them. Leigh Harris has been a career and personal development coach for over 15 years. She finds satisfaction as a catalyst for career changers and life shifters.